Boudhnath Stupa, Budhanilkantha, Swayambhunath Stupa, Bhaktpur (Incient City) ,sunset at Nagarkot. Pashupatinath Mandir,Darbar square. Manokamana Devi temple. Rope way. Vindhyavasini Temple, Seti River, Mahendra Cave, Gupteshwar Mahadeo, Devis fall. Fewa Lake and Tal Barahi Temple. Famous wild life century in Nepal for one horn Rhinos. Birth place of Gautam buddha. Mumbai to Kathmandu by flight. 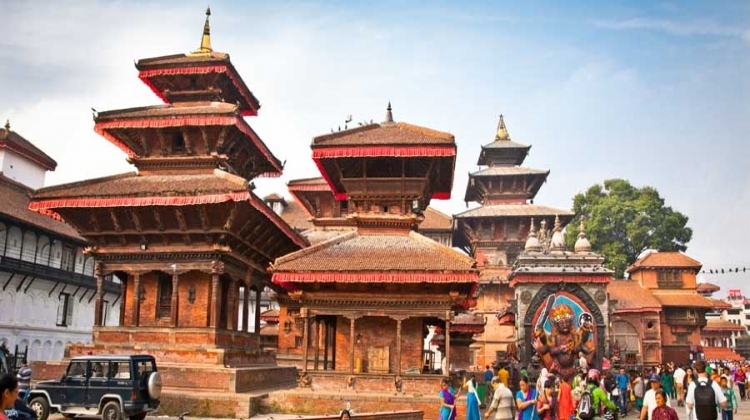 Arrive Kathmandu and overnight stay at Kathmandu. After breakfast proceed for the Holy Temple of Pashupatinath which is dedicated to Lord Shiva then come back to hotel for lunch visit Darbar square, then free time for shopping. After dinner overnight stay at Kathmandu. After breakfast proceed to Pokhra via Manokamana. Enjoy the Cable Car for Manokamana Devi temple which is only cable car in Nepal. After lunch proceed to Pokhra. Arrive Pokhra & overnight stay at Pokhra. After breakfast Pokhra sightseeing in that visit to Vindhyavasini Temple, Seti River Mahendra Cave , Temple of Lord Shiva -Gupteshwar Mahadeo Cave, Devis fall. After lunch visit one of Nepals most beautiful thing Fewa Lake and Tal Barahi Temple situated on a small island in the middle of Fewa Lake. And then free time for shopping. After dinner overnight stay at Pokhra. After breakfast proceed to Chitwan, One of the Well- Known National Parks of Nepal, Arrive Chitwan & Check-in at Hotel. Enjoy Tharu cultural dance Performance at evening & overnight stay at Chitwan. After breakfast proceed to Gorakhpur. Arrive Gorakhpur then Gorakshnath Darshan. And then proceed to rail station for train to Pune.